Feel like you are adventuring through enchanted woods when you wear the Woodland Embossed Buckle Belt. Handmade from high quality leather and available in a multitude of colors, this medieval belt has gorgeous a maple leaf pattern embossed on its length and its belt keeper. Easy to wear and adjust, this medieval leather belt has a sturdy buckle and punched holes. Choose between steel, brass, and antique brass colors for the buckle and hardware. 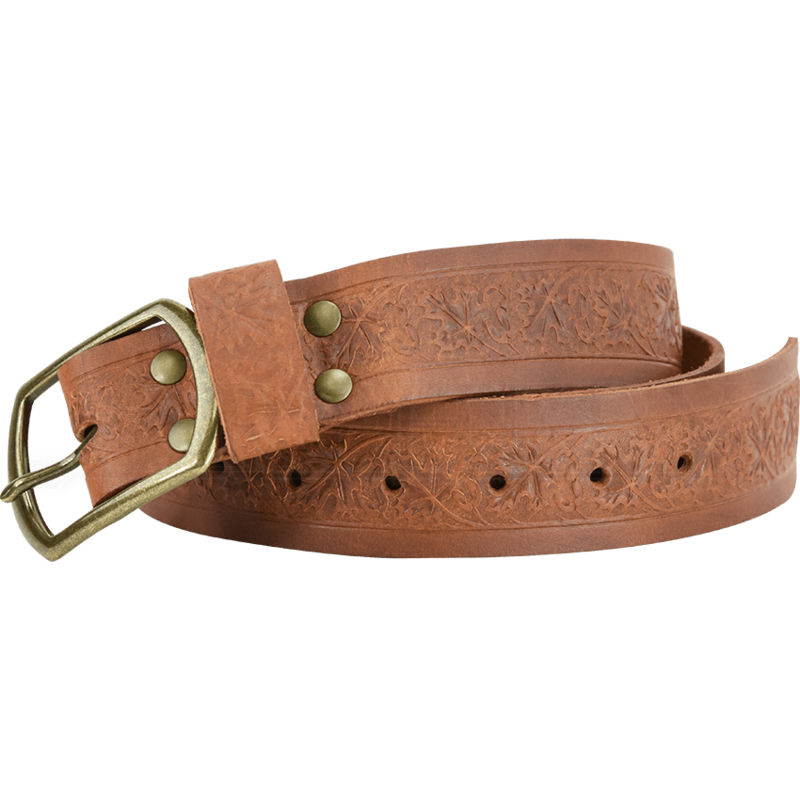 Whether dressing for the Renaissance fair, LARPing, or putting together a cosplay, you can effortlessly add extra detail and a natural vibe to any look with this embossed leather buckle belt.